Thank goodness after a trying time getting on the TGV at Strasbourg, Citrus Etoile, our lunch reservation, was less than 2 blocks from the Balzac. We were definitely ready for our 2 coupe de champagne. Some history re Citrus Etoile and the chef, Gilles Epie and his wife co-owner Elizabeth Epie. We have had the pleasure of enjoying Gilles Epie’s cuisine first when he was executive chef at L’Orangerie in Los Angeles and then when he opened his own restaurant Chez Gilles on Beverly Blvd in Beverly Hills. We were very frequent diners at Chez Gilles. We loved his cuisine, his contemporary and light touch using the freshest and best ingredients. We loved his decadent renditions i.e. 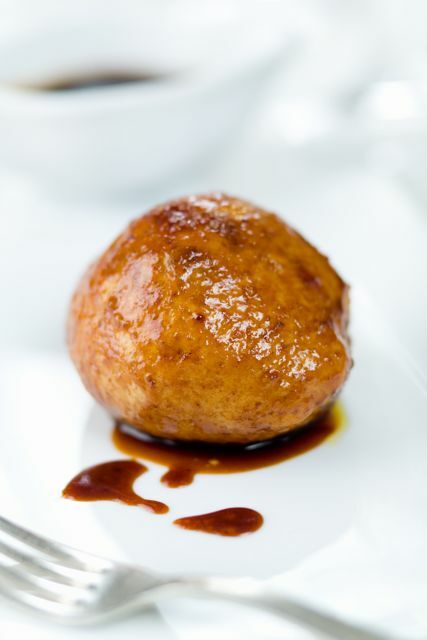 his foie gras beignet. 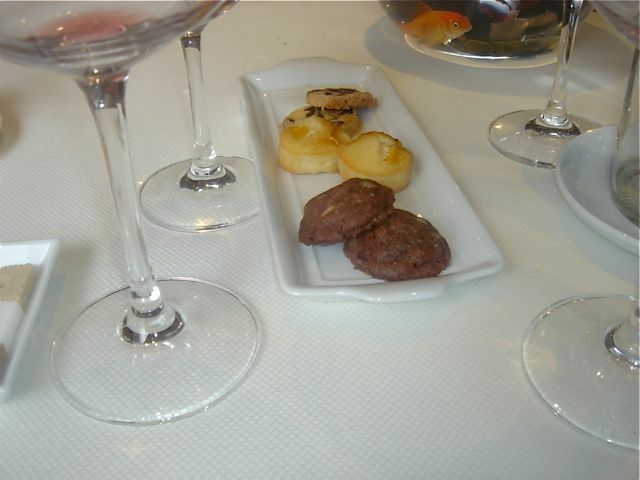 We also loved his traditional French cuisine. We loved his approach and his insistence on product and quality. Chef Epie is not a flash in the pan. At age 22 he earned his first Michelin star. He was one of the first major chefs to go to Japan. He then migrated to the States. In 1996, he was named one of America’s best new chefs by Food and Wine magazine. To say we were saddened when Gilles Epie sold Chez Gilles is a massive understatement. 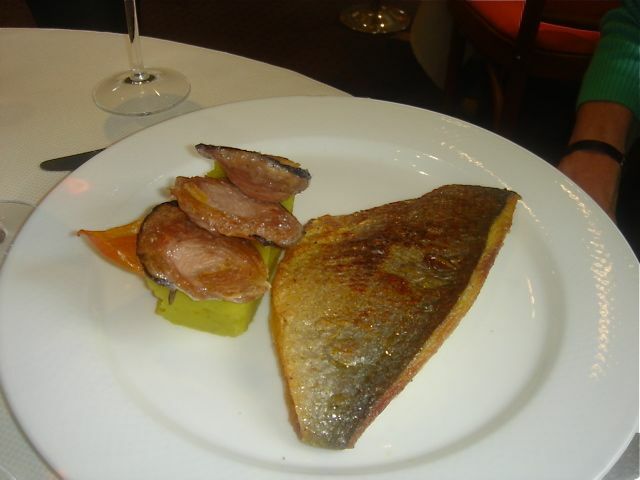 When we learned that Gilles had opened Citrus Etoile in Paris, we were thrilled. His delightful American wife, Elizabeth is charming and responsible for the décor and managing the restaurant. She is also gorgeous, an ex-supermodel with Elite. I had checked out Citrus Etoile’s web site and happened to listen to an interview Gilles did for KTLA, an LA television station. At the end of the interview, Gilles was asked if he named Citrus Etoile after L’Orangerie, highlighting the citrus component. No, Gilles replied. He named Citrus Etoile to honor his friend, Michel Richard and Michel’s LA restaurant Citrus. What a small world. The room is beautiful – light and airy with bright orange fabric-covered chairs. 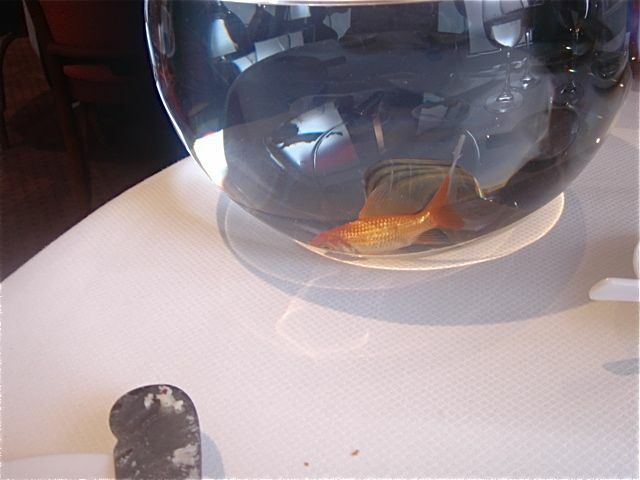 On every table is a goldfish bowl with a swimming goldfish. Every other table had very active fish – swimming energetically. Ours, we named him Charlie, stayed at the bottom of the bowl and slept. We went for the lunch menu for 39 euros. In retrospect, we wish we had done the complete tasting menu. 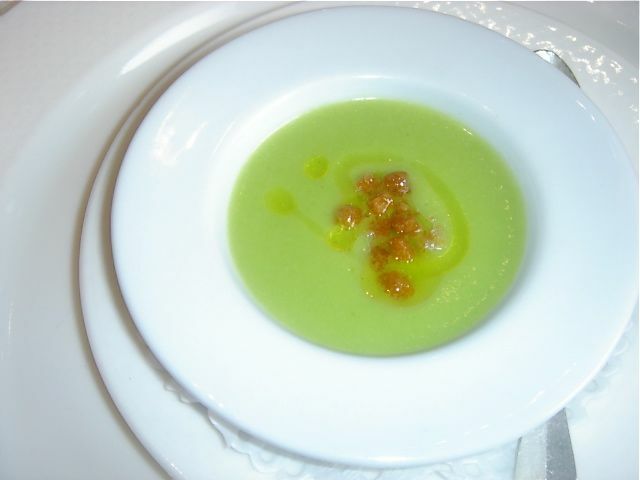 Amuse – Zucchini soup with tiny croquettes – light and delicious. First course – Foie Gras Tempura with caramelized Port Wine sauce – this is what used to be labeled at Chez Gilles as Foie Gras Beignet. It is a decadent dish. We could have eaten 2 more. Me – Grilled Snapper, Brittany crispy sausage and mashed potatoes “Oriental Style.” As lousy as the fish was at Pont aux Chats in Strasbourg, this was in a word delicious. The crispy sausage was a perfect compliment to both the fish and the potatoes. 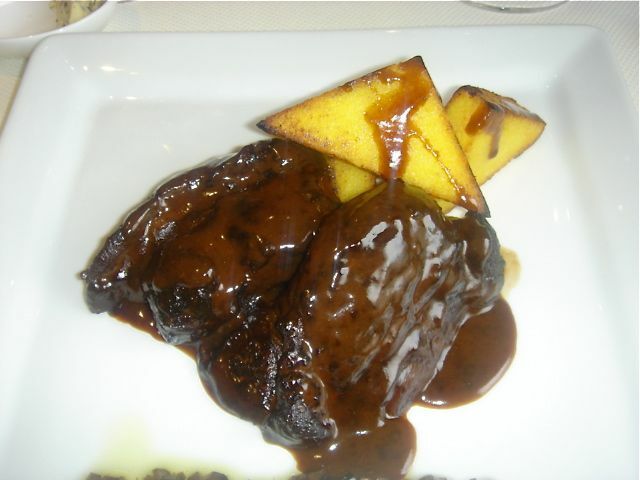 John- Provencal Beef Stew cooked with Black Olives and Grilled Polenta. John was close to picking up the plate and licking it. Dessert – we opted for cheese instead of a sweet. 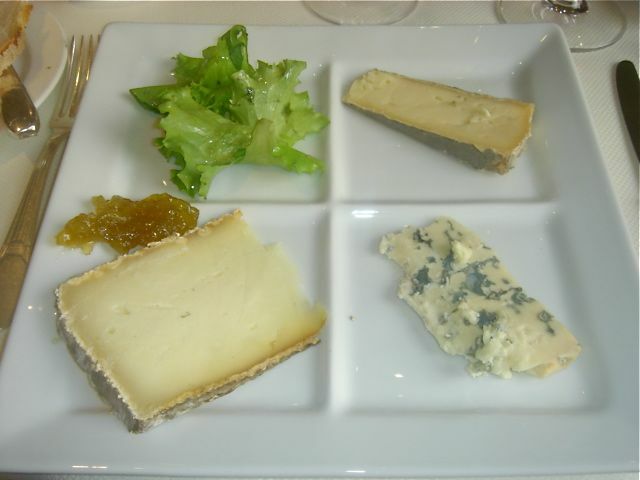 Didn’t catch the name of each cheese, but it was served with a delicious tomato marmalade. We had a modest Santenay Rouge [still expensive due to the 1.6x]. Very nice with both dishes. This is a terrific restaurant. Elizabeth is a great hostess. She is to be lauded for her effort to run a business in Paris starting with little French and limited restaurant experience. She has done a sensational job. The food and atmosphere are top rate. It is super convenient and appears to be very, very popular. Gilles Epie is a wonderful chef and selfishly, we wish he would open a restaurant in Los Angeles. This success could not come to nicer or more deserving people. We hope to be back very soon and to enjoy Citrus Etoile often.